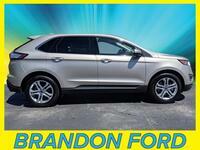 The customer always has and always will come first here at Brandon Ford in Tampa, FL. 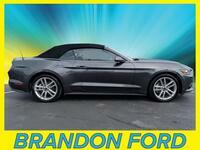 What we mean by that is that our Brandon Ford sales staff isn’t interested in anything other than finding the car, truck or SUV that perfectly fits your needs and your budget. For some, that means finding the new Ford car, truck or SUV of their dreams. For many others, however, that means finding a used Ford model that fits their price point desires while also giving them all of the Ford features and capabilities they’ve come to know and love. 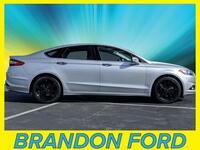 And that’s exactly why we offer an extensive and expansive array of used Ford models here at Brandon Ford in Tampa, FL. 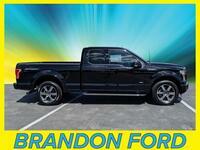 What Pre-Owned Ford Cars, Trucks and SUVs are Available at Brandon Ford in Tampa FL? 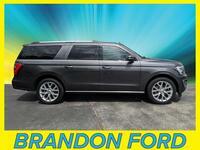 As we mentioned in our introduction, we’re proud to offer a vast selection of used Ford cars, used Ford trucks, and used Ford SUVs here at Brandon Ford in Tampa, FL. And, since all of the models in our used Ford inventory are required to pass a lengthy and comprehensive inspection process, you know you’re getting a pre-owned Ford car, truck or SUV you can depend on day in and day out. Our pre-owned Ford inventory is also not as old as you may imagine. 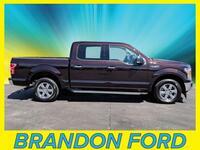 While many other used lots feature models from up to 10 or 15 years ago, the used Ford models on our Brandon Ford lot in Tampa, FL, are typically not any older than five model years old. That means you’re getting a like-new Ford model featuring all of the safety, technology, comfort and convenience systems found in the new Ford model lineup. 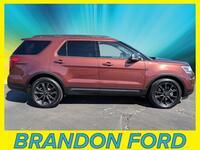 But what used Ford models do we offer here at Brandon Ford in Tampa, FL? Well, our pre-owned Ford selection includes the Ford EcoSport, the Ford Edge, the Ford Escape, the Ford Expedition, the Ford Explorer, the Ford F-150, the Ford F-250 Super Duty, the Ford F-350 Super Duty, the Ford Fiesta, the Ford Flex, the Ford Fusion, the Ford Mustang, and the Ford Taurus. The oldest of these models are from the 2014 model year, though most of these models are from the 2016, 2017, and 2018 model years. 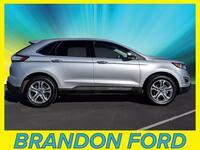 To learn more about the pre-owned Ford inventory here at Brandon Ford in Tampa, FL, please contact our staff.